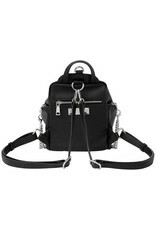 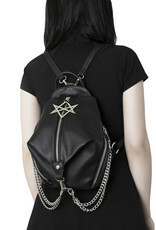 This small backpack is made of faux leather. 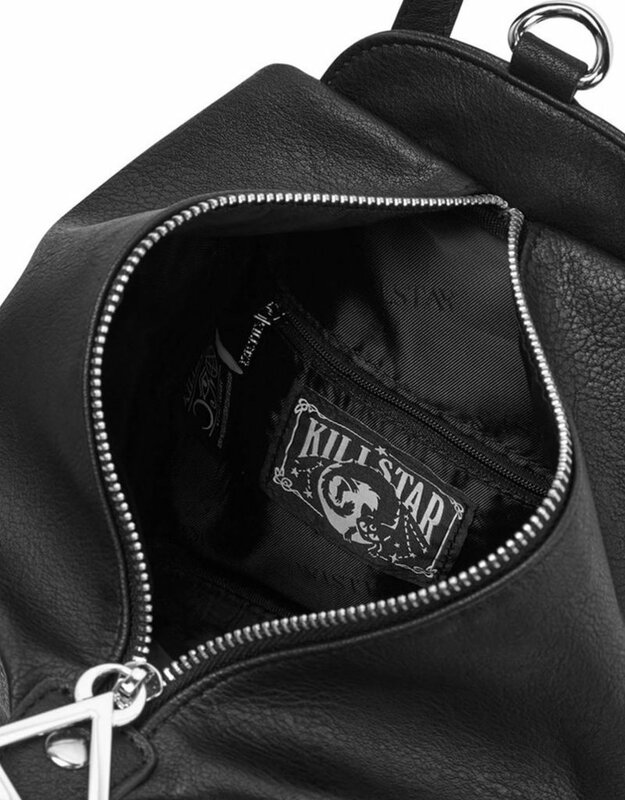 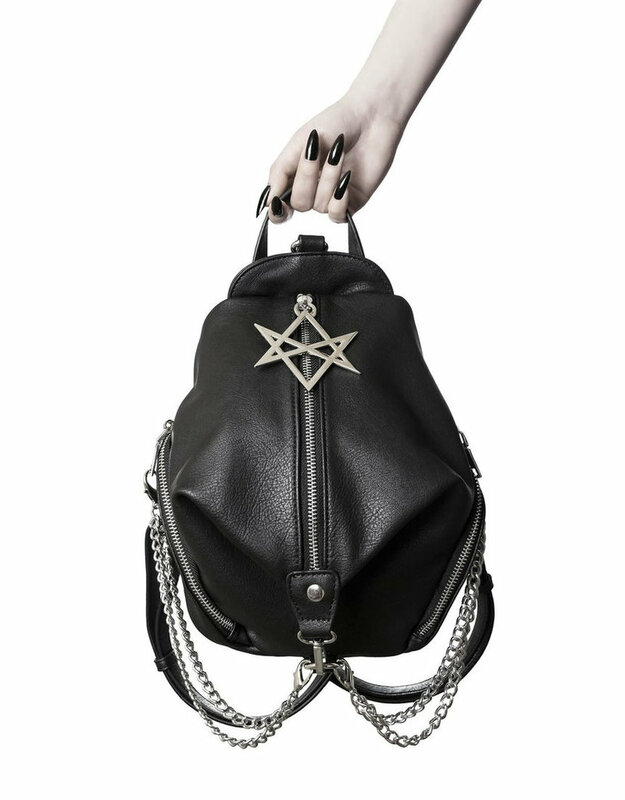 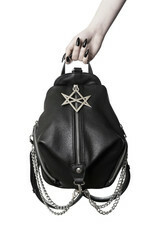 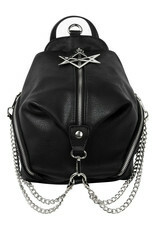 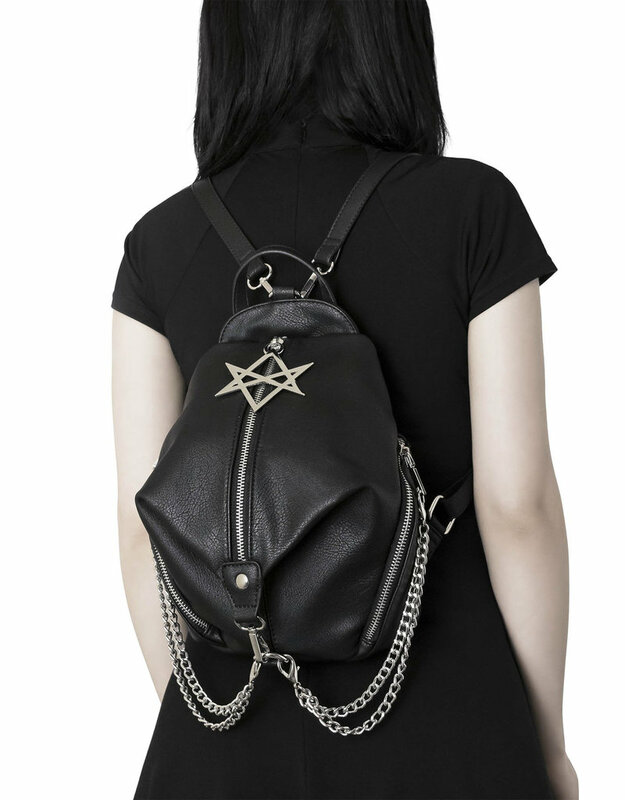 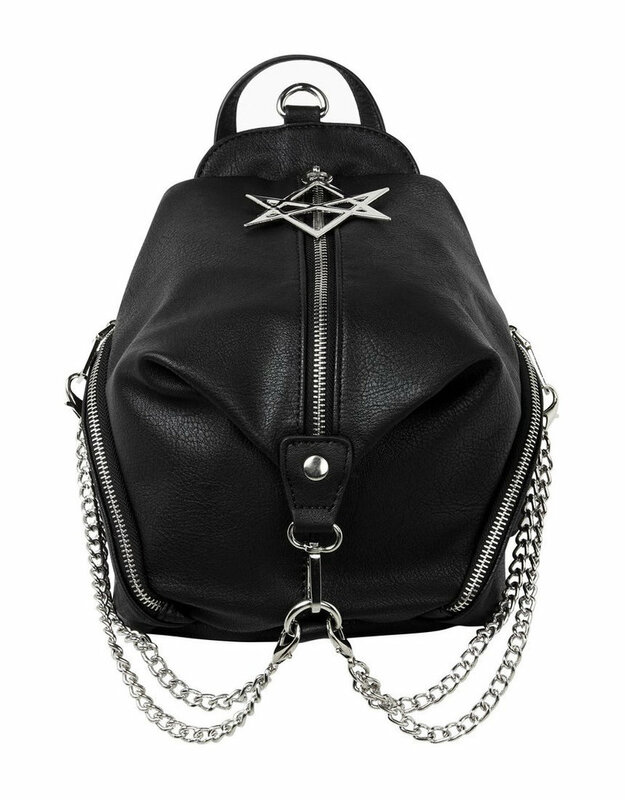 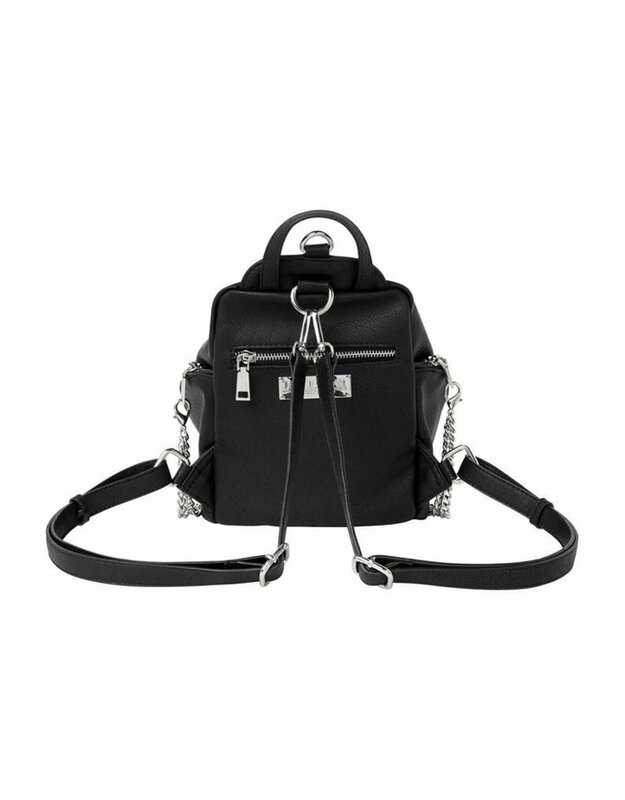 On the outside, it features clip-on shoulder straps, detachable zipper chains attached to two side pockets, a hexagram pendant attached to the main zipper, and a hidden pocket on the back. 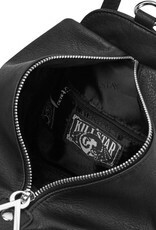 The inside is lined with silky textured fabric and features a small inside zippered pocket.